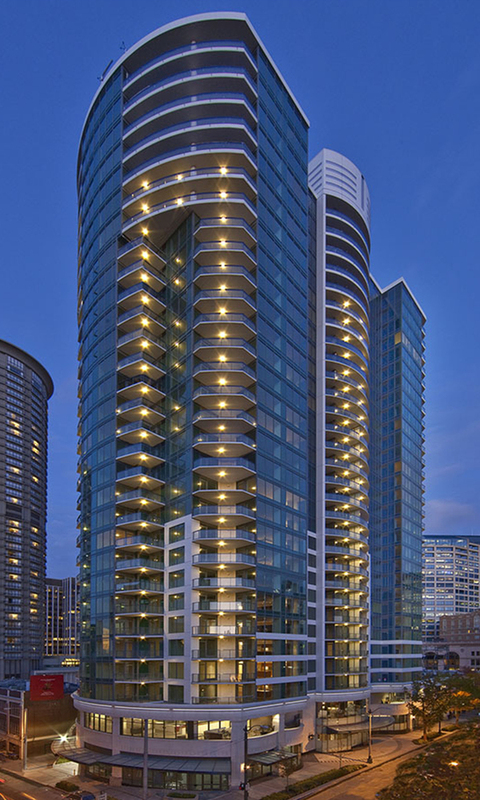 Escala | Cary Kopczynski & Company, Inc.
Escala, a 31-story luxury high-rise residential tower with 270 units in downtown Seattle, was born of a world class vision. The building was to have expansive floor plans with minimal structural obstructions, which inspired the engineers to innovate. They designed a long span concrete structure with a lateral system utilizing strategically located shear walls and ductile frames. To minimize columns, the vertical element concrete strength was increased to 14,000 psi. And, significantly, seismic confining steel strength was increased to 100 ksi. 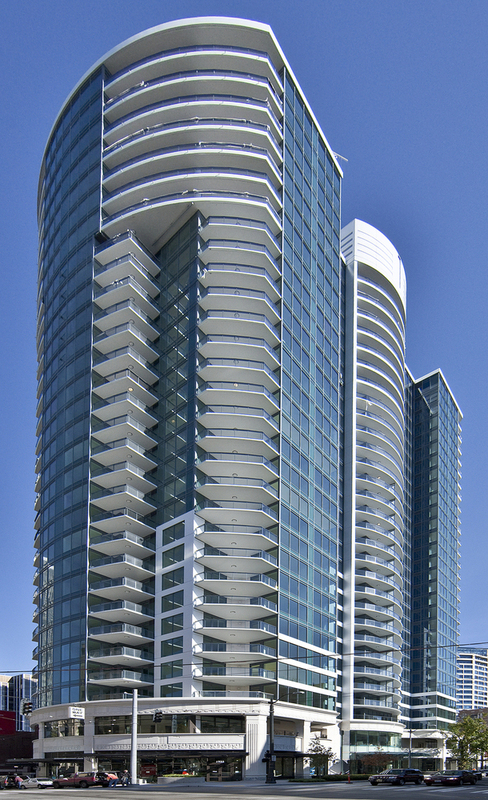 Escala was the first reinforced concrete building in North America, and perhaps the world, to use 100 ksi seismic reinforcement, a development that revolutionized tall building construction in high seismic regions. The project was widely recognized by industry leaders for the boldness and ingenuity of its structural design. The use of 14,000 psi vertical element concrete, combined with 100 ksi seismic rebar, minimized columns and shear walls. Further, the efficient structure facilitated elegant architecture. Escala received 4 notable national awards, including 2012 Most Innovative Structure & Juror’s Favorite from the Structural Engineers Association of Illinois (SEAOI).